Whitney Tilson and John Heins co-authored the book, The Art of Value Investing: How the World’s Best Investors Beat the Market. John Heins is the co-founder and President of Value Investor Media, Inc. and Editor-in-Chief of Value Investor Insight and SuperInvestor Insight. Previously, he served as CEO of Bertelsmann AG’s U.S. magazine subsidiary, ran AOL’s Personal Finance business and was a reporter and staff writer for Forbes magazine. He holds a bachelor’s degree in Economics from the University of Pennsylvania’s Wharton School and earned an M.B.A. from Stanford University. Whitney Tilson is the co-founder and Chairman of Value Investor Media, Inc. and founder of Kase Capital, which manages value-oriented private investment partnerships. Prior to launching his investment-management career in 1999, he co-founded with Harvard Business School Professor Michael Porter the Initiative for a Competitive inner City, was a consultant at The Boston Consulting Group and was a founding member of Teach for America. He holds a bachelor’s degree in Government and an M.B.A., both from Harvard University. 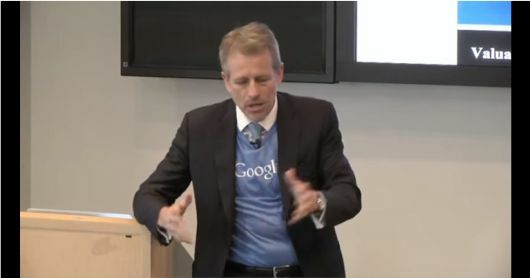 Back in 2014, Heins and Tilson gave a great presentation to the folks at Google about their book that explains how value investing works. It’s a must watch for all value investors.